Note: The Windows 7 Driver is listed Windows 8 compatible you can confirm this by checking the driver details and clicking the compatibility tab. The issue being Windows 8 will block the normal Cypress Setup.exe from running due to its software incompatibility checks, this is slightly misleading as the driver itself is completely functional under Windows 8. This issue has been reported to Dell and hopefully will be corrected soon. If this solution worked for other XPS 15z owners let me know by replying to the thread! If you have any problems or questions feel free to respond to the thread. This post will not resolve your issue but i am also about to update. will this mean that if i do update, the problems i will face is that i will not have a multi- functional touch pad? also everything else it asks to re-install, how would you do that? But in my XPS 15Z,UPGRADE Assistant showed that Cypress keypad is compatible.I am yet to complete the upgrade. ..If Gestures are not working,we should report it to dell. 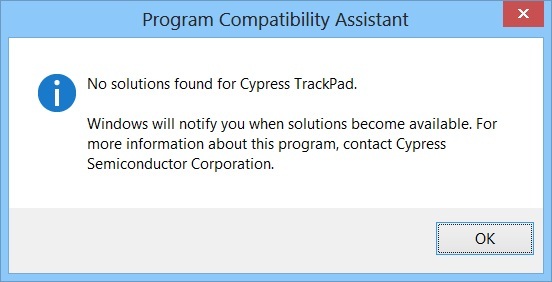 When I did my upgrade my install told me to uninstall the Cypress Touchpad Software as it was incompatible. I had been running the 2.36.6.26 version which is the latest Windows 7 driver for the touchpad that I am aware of. 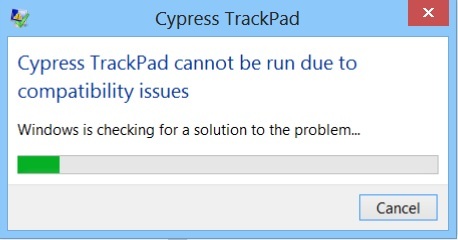 Now in Windows 8 I cannot install the Cypress touchpad driver because it will constantly keep stopping me from doing it due to incompatibility. So in Windows 8 my XPS 15z does not have any touchpad driver, it is only using the basic one built into Windows 8. So no gestures aren't working because there ins't a driver! 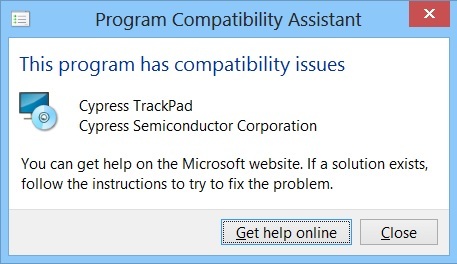 Yes ..You are right..In my compatibility report too,Cypress Touchpad 2.3.6 is not compatible but Default driver is showing as compatible.. It's a pity that Dell is not releasing suitable trackpad drivers for premium Laptops like XPS 15Z while Inspiron series [Budget Laptops] are receiving update for every Drivers,even trackpads.. I tried it, it installed OK and the software works but my touchpad is now completely disabled, despite all settings saying its on. Following the restart after installing the software my touchpad was completely off. I've since uninstalled so the touchpad at least worked.